A blog can be a key aspect of your website, allowing your team to have a voice within your industry. In this Episode we take a look at creating and editing your blog posts, plus the main banner of your blog page. 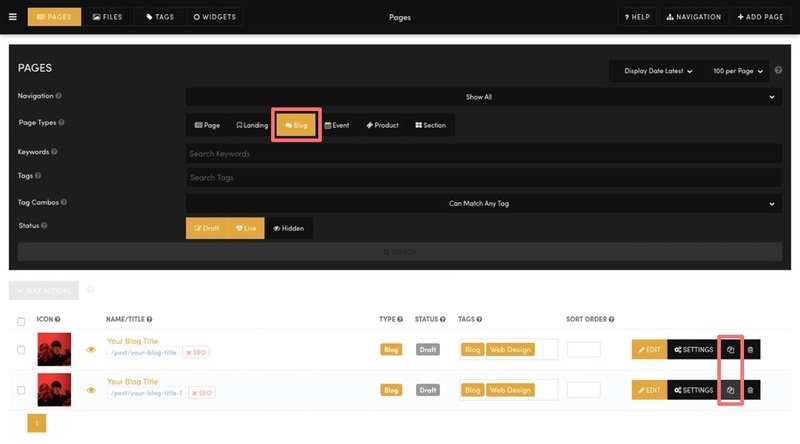 In the Pages area, select 'Blog' and click 'Search'. Notice that there is a Blog page waiting for you, as seen in the image below. To add more Blog pages simply click the clone button and a new blog post will be cloned for you. Keep your Blog pages in 'Draft' until you are ready to go 'Live'. In the Page Settings area, you can also elect to choose a 'Publish Date' when you would like your article to automatically flip from 'Draft' to 'Live'. Filter your Blog Pages and clone existing posts to remain consistent and preserve the formatting of each new post. Your Blog page does not need a clever design, you can simply use the default one that has already been prepared for you. This is because this page automatically injects into your default Blog that is already styled for you. 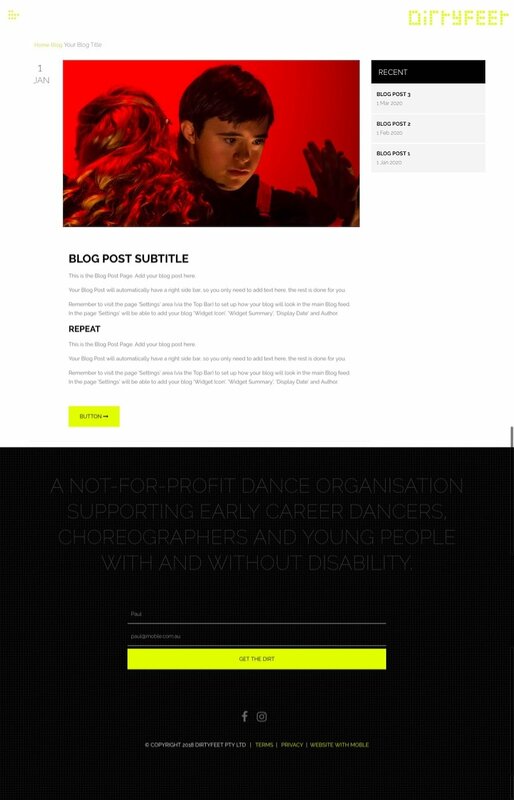 A Blog Page with clean formatting. A single Row with a 16px wide container. Your Default Blog Page Layout, seen here on DirtyFeet. In the Layouts Drawer, open Base Layouts > Pages > Blogs. Notice a selection of Layouts that work with your design, choose the ones that you like and drop them on to your page. Notice the 'Page Icon'. This is the image that appears at the top of your Blog Page, plus in your Blog feed. You can also give your Blog page a Display Date, Author, Destination URL and most importantly, it's summary. All of these items will appear in your Blog feed automatically. The Blog Page Settings area always you to add essential properties to describe your Blog page the Widget feed. Search for 'Hidden' pages and 'Blog'. Edit the main Blog page. Pick your preferred Banner image and position your Title text. The main blog page is a 'Hidden' page. as you can see here. 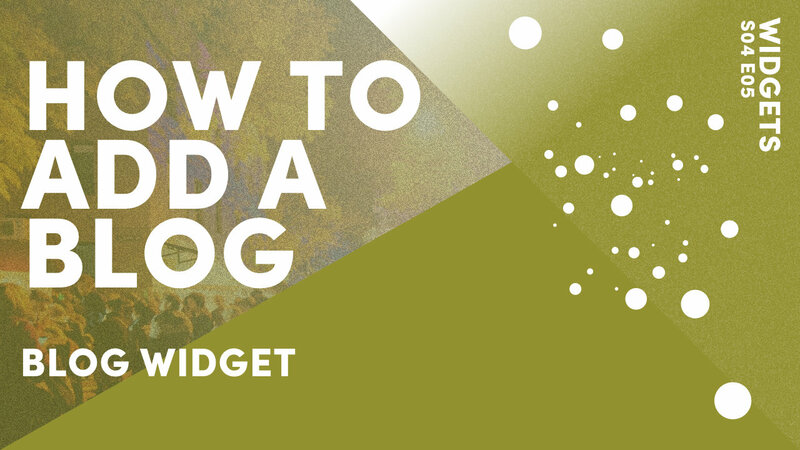 Customise your own banner or create your own custom Blog page. You might choose to use the Default Blog page layout. 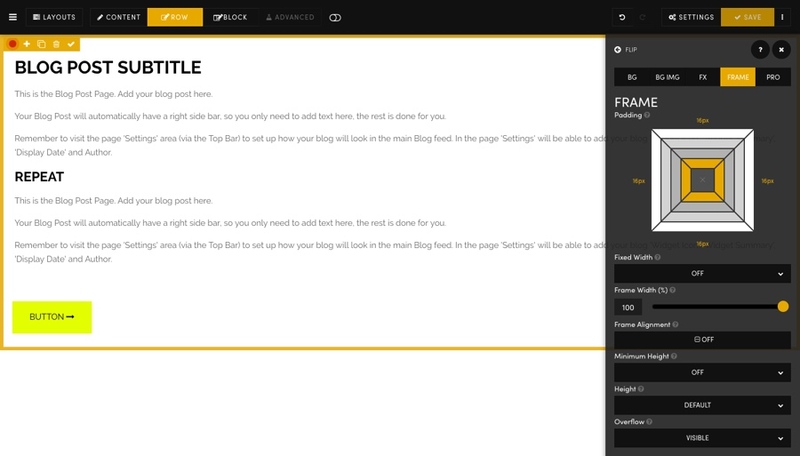 Though of course, you can configure your blog with any MOBLE widget preferences. For DirtyFeet, in the end, we decided to design our own completely custom look. Their News items are short microblogs that do not require a full page as you can see below. 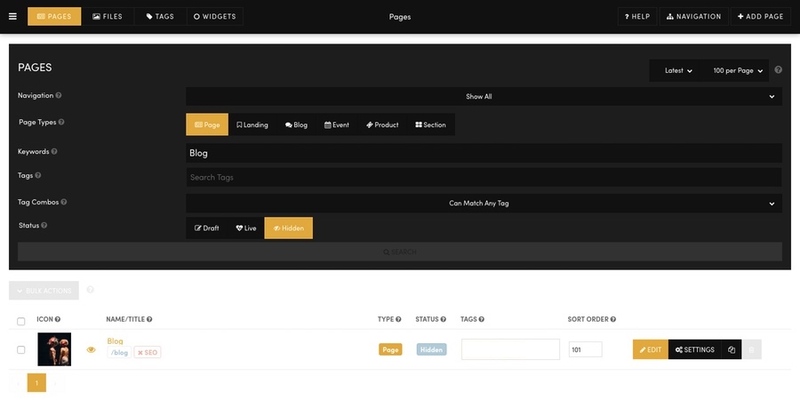 The DirtyFeet News page was designed as a custom feed. This can be done in the Editor as a Widget, or you can completely design your own Widgets with simply coding hacks which we'll cover in Series 9.